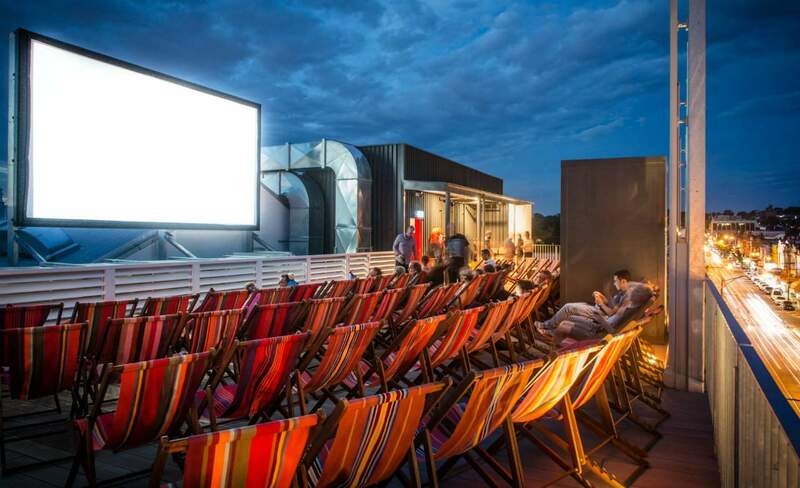 Summer is in the air, and with it the smell of fresh popcorn, as starlight screenings return to Lido's Rooftop Cinema in Hawthorn. Perched atop the eight-screen picture house overlooking Glenferrie Road, the outdoor screen will light up from this week with a selection of classic and new release movies in the open air. The Lido on the Roof season kicks off on Friday, October 19 with A Star Is Born. Lady Gaga and Bradley Cooper's team up is one of a number of hotly anticipated summer movies on the program, with other highlights including Disney's Mary Poppins Returns, Luca Guadagnino's remake of Italian 1977 horror flick Suspiria and Bohemian Rhapsody — a biographical drama following Queen frontman Freddie Mercury. Oh, and they're also screening a little wizarding film called Fantastic Beasts: The Crimes of Grindelwald. They're also bringing back their 'cult calendar' selection, with iconic retro titles including Baz Luhrmann's Romeo + Juliet, Matilda, The Lion King and Kindergarten Cop, plus a screening of Labyrinth. For the full program, hit the Lido Cinemas website.